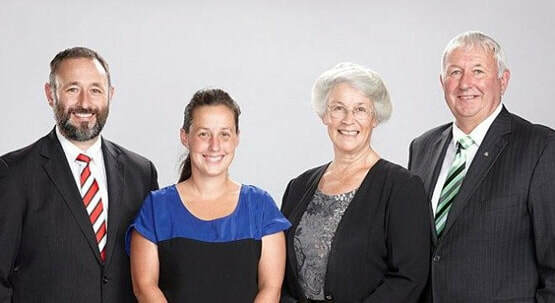 Selwyn District Funerals is proud to have served the Selwyn and surrounding districts for 6 years and is a well established member of the McKinnon Funeral Group, a New Zealand family owned and operated funeral group. Our qualified funeral staff have extensive experience in the funeral industry. ​24/7 friendly, responsive and genuine service. Member of the FDANZ - Funeral Directors Association of New Zealand. Christchurch - Palmer Funeral Services, Canterbury Christian Funeral Services. North Canterbury - Gulliver & Tyler Rangiora and Flaxton Park - North Canterbury Cremations - McKinnon Funeral Group's crematorium in Rangiora. The McKinnon Family L-R Roddy & Jane. Lois & Eion.